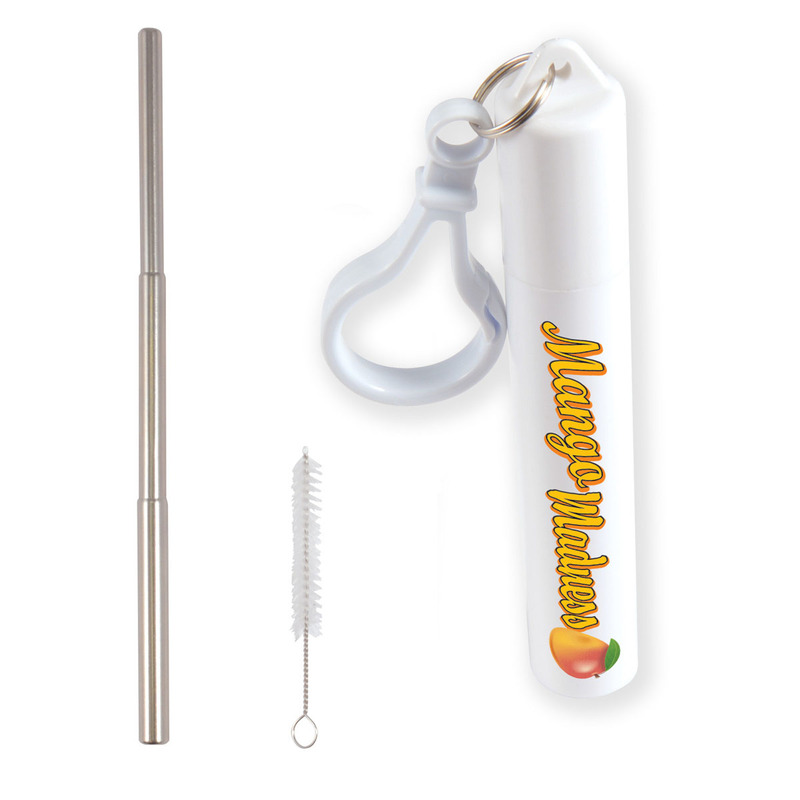 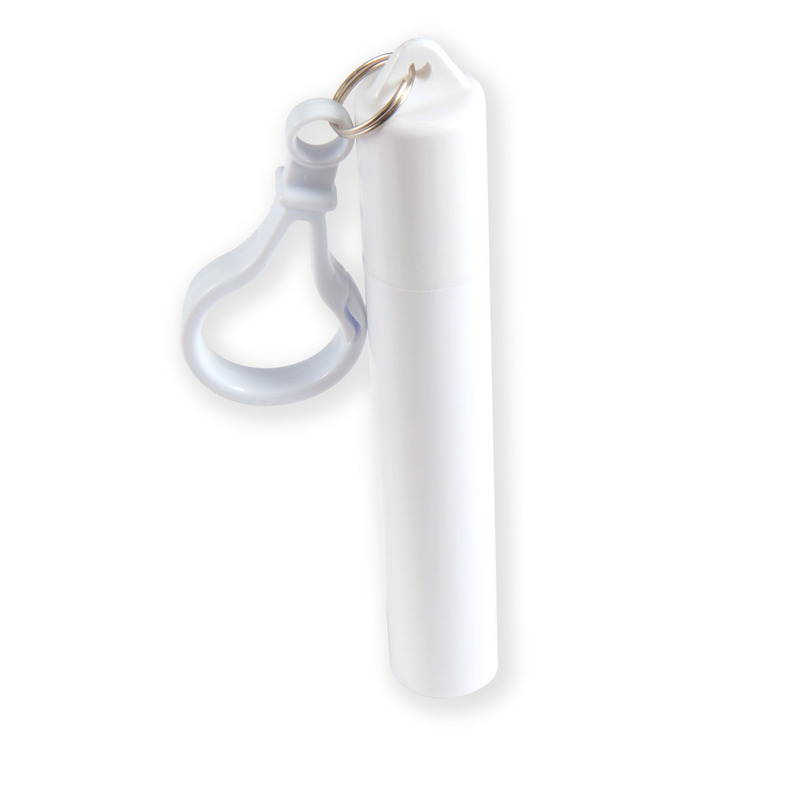 Have a standout promotion with these eco friendly re-usable straw tubes. 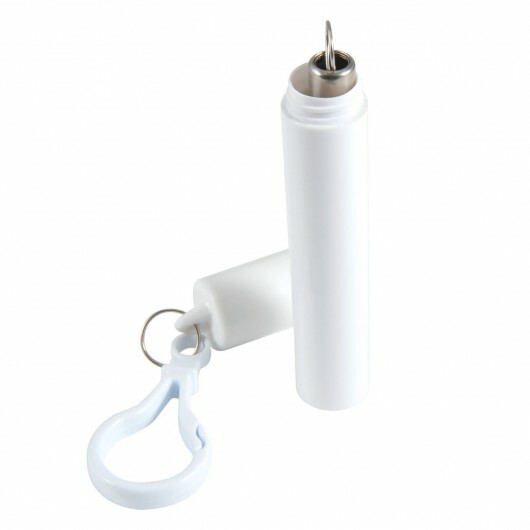 The world's first collapsible, reusable straw that folds down into a plastic tube with carabiner! These straws are an awesome promotional product due to their convenience and easy transport. 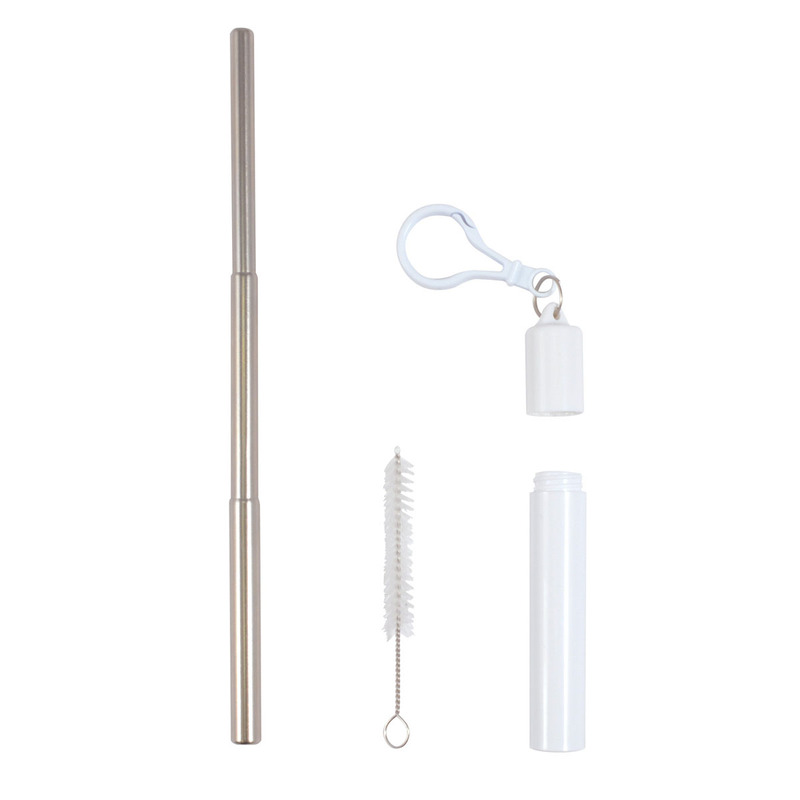 They're made from stainless steel so they can be used for both hot or cold drinks and are dishwasher safe (recommended to clean with the brush provided). 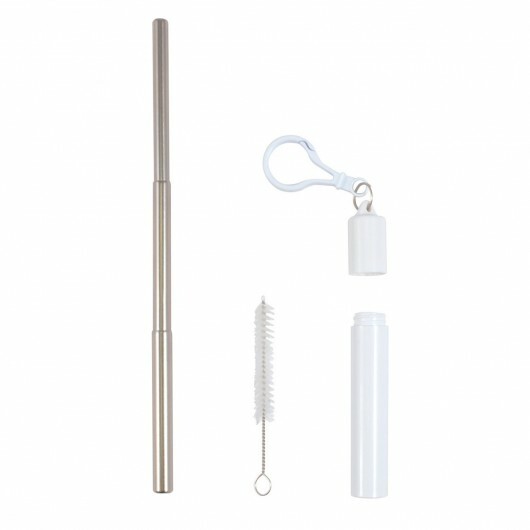 They're also great for the planet and help to reduce the amount of single use plastic straws we use.